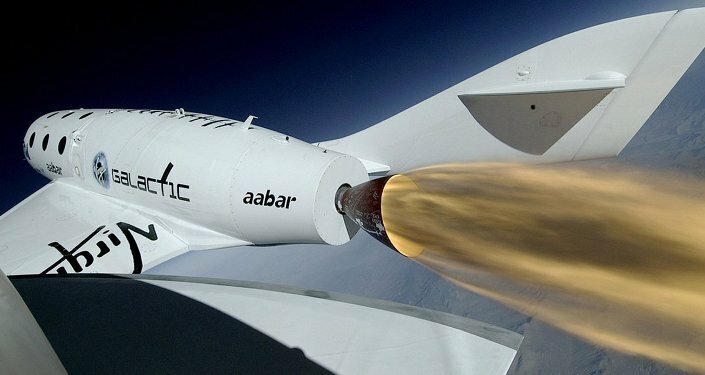 The Defense Advanced Research Projects Agency (DARPA), the Pentagon’s experimental weapons and technology division, has announced a partnership with aerospace giant Boeing to complete their new experimental hypersonic spaceplane, the Phantom Express XS-1. The XS-1 is intended as a satellite delivery system, launching small orbiters into space at high speed and returning to Earth in the same day. DARPA's intention for the XS-1 is for it to be fast and durable enough to complete 10 deliveries to space and back in as many days. "The XS-1 would be neither a traditional airplane nor a conventional launch vehicle but rather a combination of the two with the goal of lowering launch costs by a factor of 10 and replacing today's frustratingly long wait time with launch on demand," DARPA program manager Jess Sponable said in a press release. "We're very pleased with Boeing's progress on the XS-1 through Phase 1 of the program and look forward to continuing our close collaboration in this newly funded progression to Phases 2 and 3 — fabrication and flight." The XS-1 was announced in November 2013 as DARPA's newest endeavor in hypersonic spaceplane technology, something they've been exploring since the 1980s with little success. DARPA brought on several contractors, including Boeing, to build demonstration vehicles. Boeing's model, the Phantom Express, beat their competitors. This led to the 2016 launch of Phase 2: a functional vessel that can be taken on a test flight as early as 2020. Boeing's space plane division Phantom Works will handle the construction of the vehicle and engine, with DARPA support. The XS-1 is to be an unmanned spaceplane capable of carrying 900-3,000 pounds into space and back in a single day for a price tag of $5 million. That's a hefty chunk of change, but right now moving that amount of material into space costs approximately $55 million – and the booster used for the launch is expendable and needs to be replaced afterwards. "Phantom Express is designed to disrupt and transform the satellite launch process as we know it today, creating a new, on-demand space-launch capability that can be achieved more affordably and with less risk," president of Boeing Phantom Works Darryl Davis said in a separate statement. The Phantom Express' engine model is the Aerojet Rocketdyne 22, which is fueled by liquid oxygen and hydrogen. It is based on a NASA design, Phantom Works said. To complete the flight in a single day, the XS-1 will have to fly at Mach 10, or 7,673 miles per hour. It will fly into the upper atmosphere before deploying a disposable secondary rocket carrying the payload into orbit around the Earth. Phantom Works and the Pentagon have another spaceplane: the mysterious X-37B, which is launched into space for classified missions that span months or even years. Unlike its cousin, the XS-1 is meant for quick launches and returns.